Angelo here. I'm back in cold and snowy Washington, DC and wanted to share with you an update about World Heritage and historical sites. As of right now, a Beautify CNMI committee has not been created to tackle this issue, but I'm sure one will be organized. Cause-oriented group Beautify CNMI has also identified historical sites in the CNMI as another one of their concerns citing their importance to the island’s culture. 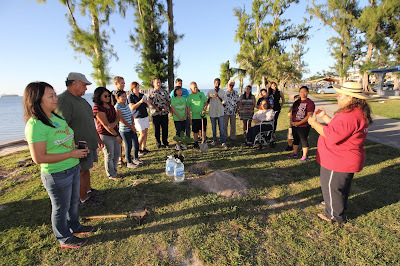 Former representative Cinta Kaipat, with the help of Angelo Villagomez and other members of the community, is trying to revive Beautify CNMI in order to raise awareness on how to keep the islands clean and attractive both from local and foreign tourists. Aya Matsumoto, another passionate community volunteer, had voiced the importance of the CNMI’s historical and cultural sites in promoting history. She hopes that the community would preserve it. Finding ways to preserve monuments, buildings, and other important places that have historical value in the CNMI is also being discussed by the group. Villagomez, among the few who were able to visit some of the Northern Islands in 2009, said that the site could be listed as a UNESCO World Heritage site as well as other significant sites in the CNMI. “The North Field, the world’s largest Air Force base during World War II, we got the latte stones, the Marianas Trench, the Maug lagoon—the only place where chemosynthesis and photosynthesis at the same time. There’s boiling pools of sulfur, there’s deep sea volcanic vents. There are these cool cultural and historic sites that would be valid as world heritage sites,” Villagomez said. It's a great coincidence that just as the Beautify CNMI coalition began talking about historical areas and UNESCO World Heritage Sites, we learned that a draft nomination for listing the Mariana Trench was already written. The draft is a collaboration between our local government and the federal government, and had input from local cultural experts. The Mariana Trench would be only the second marine World Heritage site of both natural and cultural values, so this is a very big deal. I've found that many people in the United States are not aware of the UNESCO World Heritage Sites, but globally they receive a lot attention. If you have heard about them, perhaps it's because Palau's Rock Islands were declared one in 2012? The more than 1000 sites -- including iconic places like the Taj Mahal and the Grand Canyon -- are a bucket list for millions of people, including Aya Matsumoto, who is originally from Japan and brought this to the attention of the coalition members. These are, simply put, the most spectacular cultural and natural places in the world. By the way, about half of the photos that are used in this video were taken by Saipan dive celebrity Harry Blalock, owner and operator of Axe Murderer Tours on Saipan. “It is a diverse group that broke down boundaries. 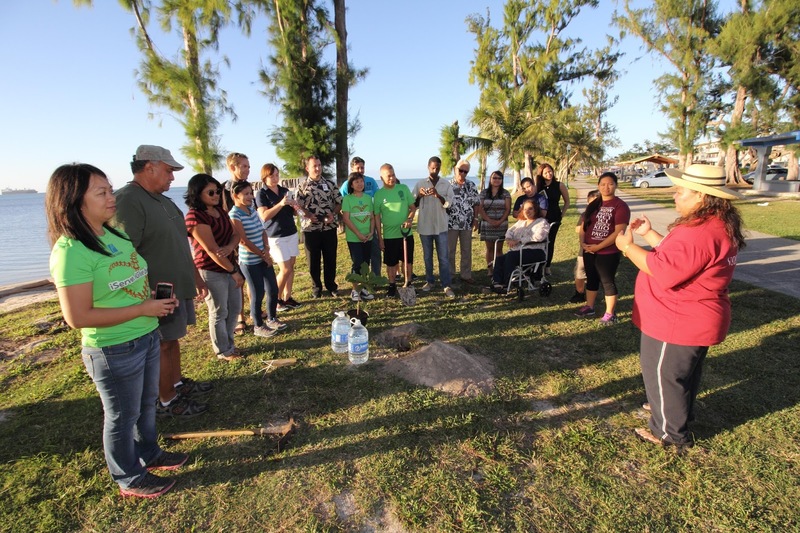 It is a group united by a common goal of taking care of the environment, enhance the CNMI’s natural beauty, and foster community pride in its residents,” said Kaipat. Angelo Villagomez, who is one of the founders of Beautify CNMI!, has been involved in various community volunteer works before moving to the mainland. He is now based in Washington, D.C. but is on island to help Kaipat reorganize the group. Kaipat said that her goal is not to replace the current post-Typhoon Soudelor work being done by various other groups but to enhance what they have been doing. “We are not only making it beautiful for us but also for the tourists and for our children. We want to revive the campaign and join it with other work being done on the island today,” added Kaipat, who shared a lot of stories of volunteers that helped them in various projects. Solid waste disposal is main concern of Beautify CNMI! Proper disposal of solid waste on the island—especially those left by Typhoon Soudelor—became the center of discussion of the first meeting of reviving the people-centered group Beautify CNMI! Beer and soda cans, plastic bottles, disposable plates and utensils, cigarette butts, boxes, straws, burger wrappers, diapers, and other household thrash are the regular things collected during beach cleanups. Rep. Edwin K. Propst (Ind-Saipan) said the challenge right now is how to keep one area clean and some people don’t have the money to get the services of a trash collection agency. “As soon as you finished cleaning up one place, trash would appear in another. Either illegally burn it or throw it somewhere else,” said Propst, who together with Rep. Vinnie Sablan (Ind-Saipan) are thinking of possible laws that they could file at the Legislature. “We’ve planted several hundred flame trees along Beach Road also in Koblerville and several other places around the island,” Villagomez said. He also credited those who came first to plant the trees that have become a trademark and identity of the CNMI. Villagomez said that while it is sad that those trees were gone, it is our responsibility to beautify the CNMI again. “They were blown away. It’s really sad how much this island lost from the typhoon. People lost their homes, and we lost one of the naturally beauty. But as caretakers of this island, it’s our responsibility to fix up that which was broken,” Villagomez said. Cinta welcomed the group and introduced Angelo. -Abandoned Structures – don’t have permission to remove debris from abandoned properties. How do we clean this up? What’s beautiful is also safe! Dead animal cleanup – is there a government or a private sector solution to this perennial problem? It is related to the number of stray animals. We want to plant trees to replace the ones destroyed by the Typhoon. We are having a tree planting this week. Ed Propst will convene a solid waste meeting in two weeks. 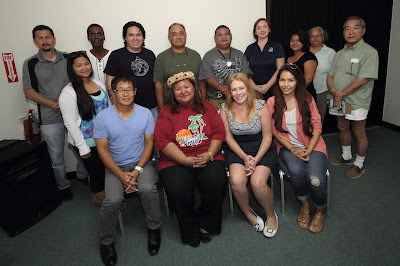 The Beautify CNMI campaign will hold their first organizational meeting of 2016 next week. The once highly visible coalition was founded in 2006 and spent several years organizing beach cleanups, planting trees, painting over graffiti, and recycling. There is hope among some of the former volunteers to revive the campaign and to join it with other environmental initiatives taking place on the island today. According to their website, Beautify CNMI! Is a coalition of concerned citizens, private groups, and government entities united to enhance the Commonwealth of the Northern Mariana Islands’ natural beauty and foster community pride in its residents and visitors. They have been recognized by the Environmental Protection Agency and the US Congress for their volunteer work, and were the Saipan Tribune’s 2006 Person of the Year. Interested participants are invited to a meeting on Monday, February 1 at 2 PM in the Chamolinian Room of the Hyatt Recency. Kaipat will chair the meeting and lead a discussion on how now is a great time to reinvigorate the coalition. Co-founder Angelo Villagomez will make a presentation on how the campaign was created in 2006. 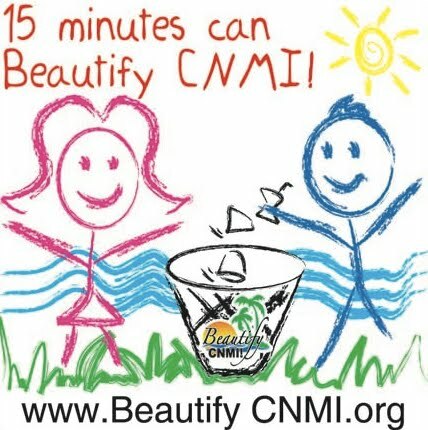 For more information about Beautify CNMI’s ten year history, please visit www.BeautifyCNMI.org. Man, time flies. Has it really been 10 years since we created Beautify CNMI? And how is that we haven't posted a blog in two full years? Well, some of us got to thinking over the Christmas break and we've decided to get the band back together and reinvigorate our Beautify CNMI campaign in the new year. We're organizing ourselves right now and will have our first meeting in a couple of weeks. In the meantime, could you sign up to our email list? Click on the JOIN button above or RIGHT HERE. Lots of good stuff coming to you this new year. Stay tuned!